Hours later, I’m still reeling. After a dream start, we would get a dream ending, quite literally. It all seemed so surreal in the moment – Dempsey’s ball ricocheting off the post for the fastest U.S. goal in World Cup history, then John Anthony Brooks’ (seriously?) header hitting the back of the net when a draw seemed like a foregone conclusion just moments before. It wasn’t a perfect U.S. performance by any stretch, but it got the job done. Brooks, the greatest American since Lincoln, is certainly the unlikeliest of heroes. I questioned his inclusion on this team and Klinsmann said if right center back Geoff Cameron had been hurt, Omar Gonzalez would have come in instead of Brooks. After the game-winner that will live in American soccer infamy, Ian Darke proclaimed, in his typically dignified tone, that Brooks “couldn’t have even dreamt that”. Well, apparently he could. 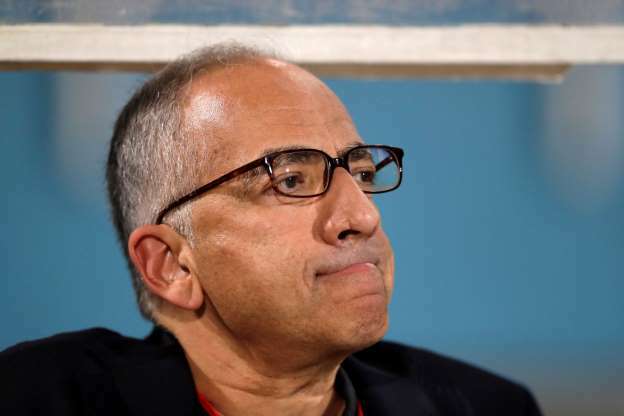 Brooks said after the match that he had a dream two nights before where he scored a late header. In the words of Darke four years ago, “You could not write a script like this”. There is a good chance you didn’t even get to sit down before Dempsey made it 1-0 USA, but what a goal. Jermaine Jones (who was fantastic all night) found Clint streaking and then, three brilliant touches later, he fired a low bullet to the far post. You could see the euphoria in the U.S. players as they celebrated. When you work as hard as these guys for so long, that first goal has to be an incredible release. However, such an early goal made for a bizarre game. 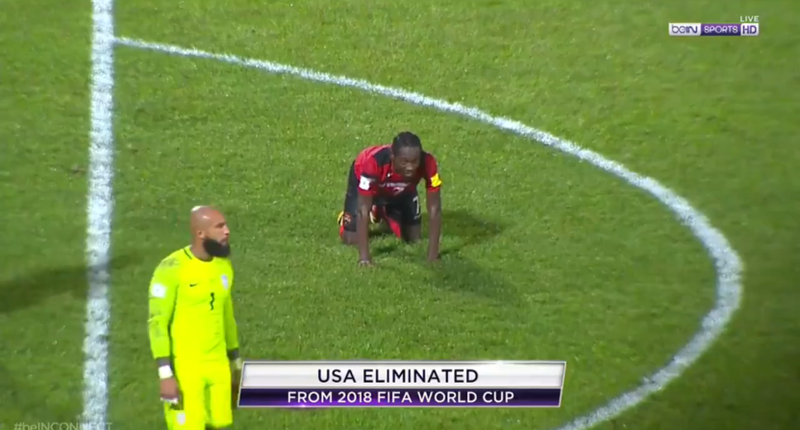 The Americans were content to sit back from the second minute on, conceding possession to a Ghanaian side who likes to score on the counter, not from intricate, tiki-taka passes. The first half passed without any seriously threatening moments from them, but the Americans would take a beating in the process. 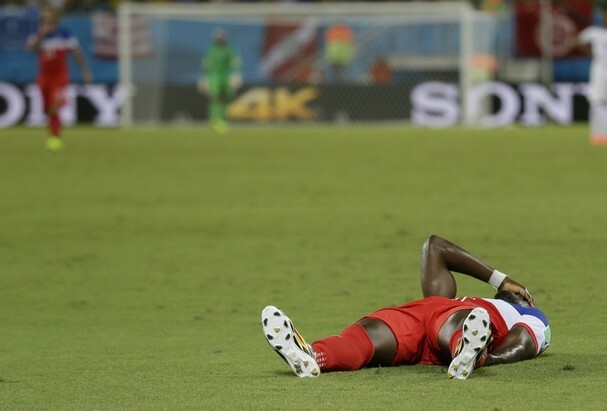 Striker Jozy Altidore pulled up lame midway through the half, unable to even walk off the field with a strained hamstring. Then, Dempsey would take a flying Ghana shin to the face, bloodying (and possibly breaking) his nose. The American captain was “coughing up blood” and couldn’t breathe through his nose the rest of the night. What’s more American than a bloodied captain, right? Ghana came out refreshed and looking to attack in the second half, but still couldn’t break down the U.S. defense. This is where an experienced goalkeeper like Tim Howard is so valuable. The Everton netminder had poise and confidence in cutting out any Ghana attempts, including a couple of big saves. Towards the end of the match, the United States defense started to lag. It looked like the fullbacks (Beasley and Johnson) were pushing too far up the field, and were slower to get back. Space starting opening up on the outside. Even though Ghana prefers to attack through the middle, this did not bode well. 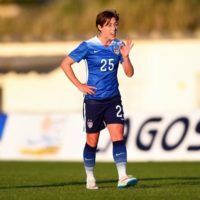 Fatigue was visibly setting in for players like Bedoya, Beasley, and others. Then, in the 82nd minute, Andre Ayew caught Fabian Johnson napping and created enough space for a wonderful combination play with Ghana star Asamoah Gyan, whose beautiful back heel sprung Ayew in the box. He hammered it past Howard and the game was level. It would have been easy for the U.S. to get down, to feel as if maybe a draw was acceptable on this muggy Brazilian night. However, as Graham Zusi lined up that 86th minute corner, you could feel that feeling of fight rising, at least in the bar where I was watching. Could they still do it? A 6’4″ substitute defender got his head on the ball and the rest is history. 2-1, that same old scoreline. 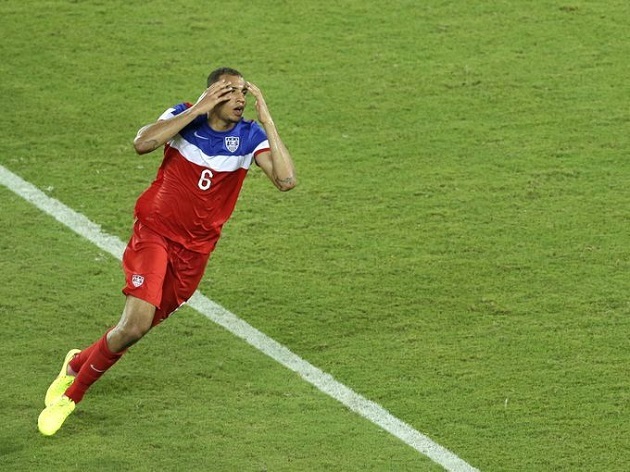 1) John Brooks – The most human moment of last night was Brooks’ reaction to his goal. You could see – in real-time – that he was realizing the weight of what he had just done. It was disbelief, elation, and disbelief again all wrapped up in a stunning few seconds. It made us remember we were watching a 21-year-old accomplish something amazing on the grandest of stages. It will be a permanent addition to American soccer highlights for generations. 2) Jermaine Jones – Yet again Jones submits another awesome performance. He just keeps shutting up U.S. fans who question his presence in the starting XI. His play has been disciplined, smart, and tough. Last night was another pristine example of that. 3) Geoff Cameron – Cameron will be one of the unsung heroes of the Ghana match. He didn’t do anything too flashy or memorable, he just stayed his line and made no mistakes. Plenty was asked of our defense after Dempsey’s goal and Cameron answered, and then some. He distributed well and provided excellent aerial play to keep out any dangerous Ghana crosses. Aron Johannsson came on for Altidore, so he would seem to have frontrunner status for a starting gig on Sunday vs. Portugal, assuming Altidore can’t go. However, he did play all but 20 minutes of this match and it’s possible Klinsmann wants to bring him on as a second half sub against Portugal. 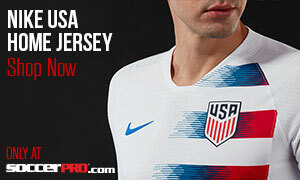 This means we could see Chris Wondolowski starting a World Cup match, which would be unbelievable a couple months ago. Or do we start Dempsey up top by himself? Whatever Jurgen decides, more responsibility will come upon the battered Dempsey to provide better hold-up play from the forward position. What formation do the U.S. employ vs. Portugal? Portugal is a different team than Ghana, capable of attacking with menace from their wingers Ronaldo (obviously) and Nani. So, does Klinsmann use the diamond formation he employed vs. Ghana with dreadlocked Kyle Beckerman at the bottom, or does he start Bedoya and Zusi on the wings, with Jones at the bottom? It’s possible he abandons the diamond altogether, and drops Michael Bradley back a bit to shore up the defense against the talented Portuguese attack. His choice will be crucial against a strong, yet beatable Portugal side.